John Duckworth’s works transcend the line between realism and abstraction. His photographs are infused with an intimate knowledge of nature, a passion for pure color, and a rhythm drawn from life itself. Duckworth’s trademark style involves abstracting the photographic image to lend the work a much lauded painterly appearance. By providing the viewer a sense of place, yet obscuring the details, he allows each individual to step into the image and bring forth their own visual history. The ensuing narrative is enriched through the power of memory, infusing a personal creative process with universal appeal. John Duckworth lives and works in Johns Island, South Carolina and New York City. * Denotes other sizes available; all works printed in editions of 5, regardless of size. 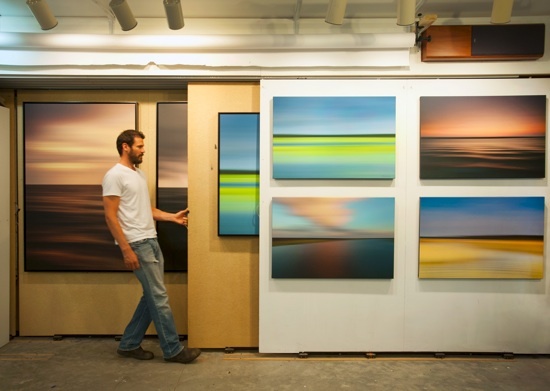 20 x 30, 26 x 40 and 40 x 60 inch prints are available in the Landscape series. Please call 843-564-0034 with specific inquiries.